Listen to "Episode 160 - I Like Big Buts" on Spreaker. Want to know what Taylor and I think about I Like Big Buts? In this episode of Crackers and Grape Juice, Taylor and I talk about the sermon from which the book garnered its title. It is in Romans that Paul reveals that he is convinced that neither death nor life nor angels nor demons nor the present or future—really not anything or any power in all of creation—can separate us from the love of God that is in Christ Jesus ([8:38]). And even pithier—I love this one especially—Paul assures us in Romans that if God is for us, who could be against us? ([8:31]). The book is available in paperback or as an ebook. 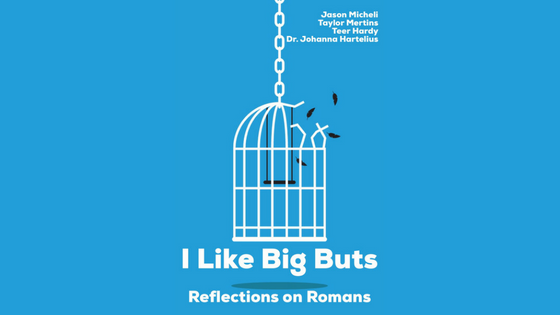 By purchasing the book you help us keep the conversation about faith without stained-glass language flowing. 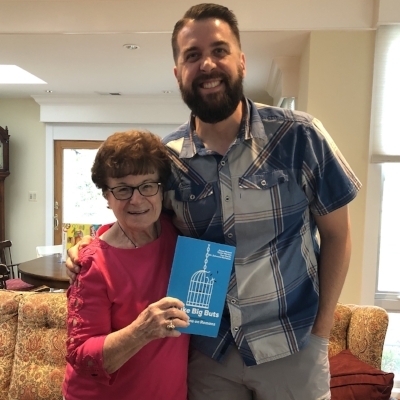 My grandmother loves the book and wants you to purchase a copy. You don't want to disappoint Ahmama do you? She won't be mad. She'll be disappointed. Do us a couple of favors, would you? Buy the book. You can find it on Amazon here. Or go to www.crackersandgrapejuice.com/books and purchase it through the links at the bottom of the page. Tell other people about the book. Share the links above on social media. It gives you something to post other than cat pictures or your Trump rage. Leave a review of it in Amazon. It helps other people discover it. Thank you to everyone who has purchased the book, shared it with a friend, and reviewed it on Amazon. It is humbling to know that so many support the podcast and the work done by the entire team.